Mint is a fast growing, prolific perrenial which is common right across Europe, Africa, Asia, Australia, and North America. As with many other herbs it grows freely out in the wild over most of Italy, releasing a beautiful aroma when you walk over it. There are many different species of mint of varying heights and shades of green. Mint grows to a height of between 10cm and 120cm. The stems are twig-like and erect. The leaves are an oblong shape and arranged in opposite pairs. The flowers are varying shades of blue and in some species are almost white. The roots of mint are wide spreading and prolific, often stifling everything else around them if left unchecked. Mint grows all year round and can be harvested at any time. It is often considered to be a pest as it is extremely invasive and if you do not have a large garden it is better to grow it in a container. It can be grown in most situations and can tolerate constant sun but does like water, next to which it grows very well. In extended periods of dry weather it will need watering. It is necessary to pull up some of the roots on a regular basis to stop it spreading too far. 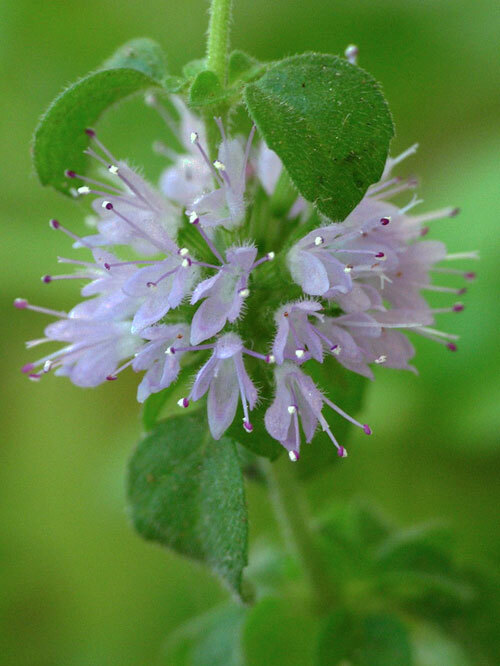 Mint is another herb which is credited with being a good companion and has a reputation for attracting beneficial insects whilst repelling destructive ones. Mice and rats are also believed to have an intense dislike of mint. It was originally grown for medicinal purposes and was used to treat stomach complaints and chest pains. Only the leaves are edible and can be chopped and eaten in a variety of dishes or used to make infusions and teas. Mint leaves have a pleasant smell and taste and have antiseptic qualities. It is used widely in the modern world in a variety of ways for cooking, medicine and cosmetics. For cooking it is used in salads, risotto, cold drinks, teas, desserts, ice creams, chocolates, cocktails, sauces and jellies and in many places is a traditional accompaniment to lamb. 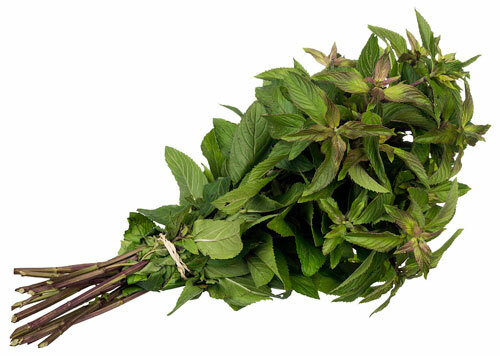 Mint is a good mouth freshener and is often used to refresh the palate in between courses. Oil is extracted from mint and used mainly for cosmetic purposes in items such as toothpaste, soap, foot creams and breath fresheners. It is also one of the essential oils used in aromatherapy. 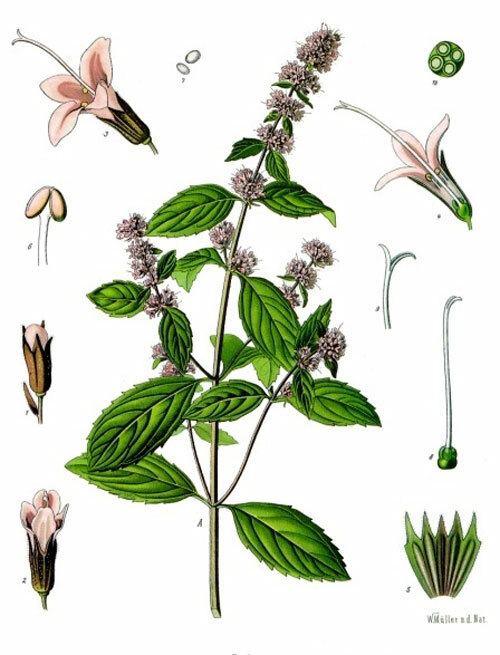 Medicinally it is used in the main for nausea and indigestion as the aroma of the mint leaves activates the salivary glands which, in turn, secrete digestive enzymes to aid digestion. Mint tea is a popular, simple and effective drink after suffering a stomach upset. 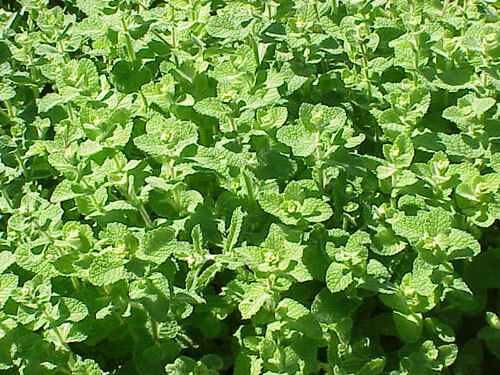 For this reason mint oil has been used effectively by many people who suffer from motion sickness. Mint balm or oil rubbed onto the forehead and nose brings relief from headaches and as mint is a naturally soothing herb it can also sooth inflammations, bring down a high temperature and has even helped some migraine sufferers. Mint is very good at clearing congestion of the nose, throat and lungs and is proving to be beneficial for asthma patients if used on a regular basis. Current research shows that due to some of the enzymes that can be found in mint that it may help prevent and treat cancer. There is also some preliminary research into the possibility of using mint as an ingredient in the treatment of irritable bowel syndrome. It was named after the beautiful water nymph Minthe from Greek mythology. Minthe was in love with Hades, the Greek God of the Underworld who was married to Persephone. One day Persephone found Hades and Minthe together and as a form of revenge she transformed Minthe into a small ground plant so that everyone would step on her. Hades, in an attempt to comfort Minthe, endowed her with an intoxicating aroma which would last forever. In Greece it is known as the herb of hospitality and was first used there as an air freshener by spreading across the floor so that the aroma was released as guests stepped on it. Mint was also used by Greeks to clean tables as well as to add to baths in order to stimualate the body. Romans were perhaps the first to use it for culinary purposes but they also took advantage of its medicinal properties. The Romans are responsible for bringing mint to Britain while it was taken to America by the Pilgrim Fathers.